I ran the gauntlet of moths to and from the grill, but the end result was worth it. 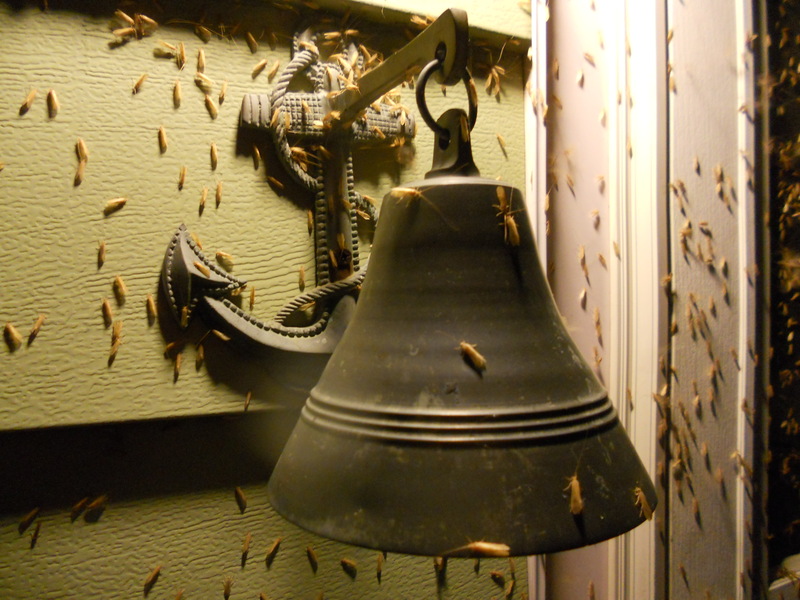 The moths were frenzied around the light–maybe made more desperate by the end of summer, and a sense of the impending cold. 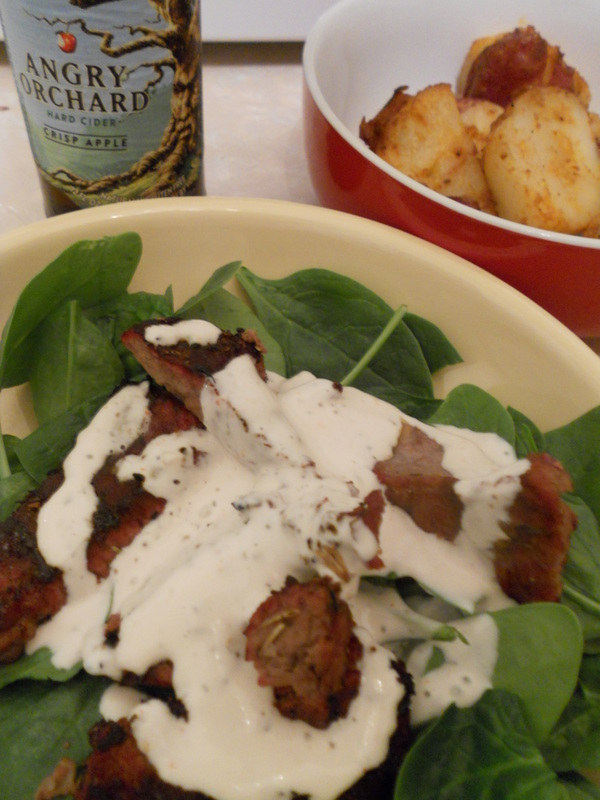 I grilled steak, sliced it, and placed it atop a bed of spinach. I made the ranch dressing with Penzeys Italian Dressing Mix. I parboiled red potatoes, and grilled them with a marinade of olive oil, Spanish Smoked Paprika, also from Penzeys, and a dash of salt and pepper. An Angry Orchard hard cider was the perfect digestif. It was a great way to end the holiday weekend.